Much of the tech news from Africa in March stemmed from Kenya, with plenty of it focused on globally acclaimed mobile money service M-Pesa and a new challenger. The Kenya Bankers Association (KBA), the umbrella body of Kenya’s banking industry, in February unveiled PesaLink, a digital payments platform it says will cut the cost of transactions and transform the way consumers interact with banks. PesaLink enables customers to make payments between banks in real-time, without having to go through intermediaries like M-Pesa. Initial uptake was strong, with PesaLink acquiring two million customers already. Mobile operator Safaricom – which runs M-Pesa – responded during March. It launched M-Pesa apps, and halved fees, in a bid to ensure it keeps customers on board. Plans are also in the offing to raise the daily mobile money transaction ceiling. It wasn’t only Safaricom that was busy during the course of the month. The government has made it possible for Kenyans to buy government treasury bonds via their mobile phones through the M-Akiba service, a retail bond platform that allows anyone to trade in government securities. The taxi-hailing scene in Kenya was also in the process of heating up. Uber Kenya increased its prices following a recent driver protest, a move that was matched by local competitor Taxify. Uber, which also had issues in Johannesburg as taxi drivers blocked airport roads in protest, did have some good news to tell as it announced plans to roll out real-time ID checks for drivers in Egypt and South Africa, using selfies. Back in Kenya, Facebook partnered local ISP Surf to launch its Express Wi-Fi service, while crowdsourced information platform Ushahidi launched new apps for offline data collection. Africa’s video on demand space got busier, as Southeast Asian company Iflix raised US$90 million to expand to Africa and the Middle East. This came as market research firm Dataxis predicted Africa’s pay-TV revenue would increase to US$6 billion by 2021 from US$4.4 billion in 2016. In other (kind of) television news, the BBC partnered a Nigerian software firm to pilot a chatbot it hopes will get more young people involved with the BBC World Service using technological methods. 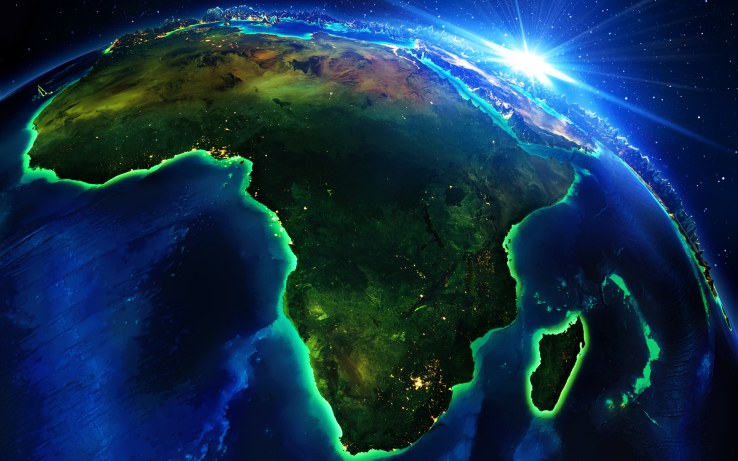 March was a busy month in the African funding world, with a large number of companies securing funding to expand their businesses. Many of these were from South Africa, with the likes of music streaming service NicheStreem, ticketing platform Quicket, e-courier startup Pargo, fintech company Zoona, agri-tech startup Greenfingers, mobile payments startup Yoco, and travel company FOMO. There were also rounds for Nigerian fintech startup Lidya, as well as Egyptian startups JewelHub and Bosta. Back in South Africa, ICT firm Reunert acquired two local tech startups, while Facebook partnered education group Livity to offer digital training to South African entrepreneurs.